The American Transportation Research Institute released the findings of its 2018 update to An Analysis of the Operational Costs of Trucking. Using financial data provided directly by motor carriers throughout the country, this research documents and analyzes trucking costs from 2008 through 2017 - providing trucking industry stakeholders with a high-level benchmarking tool, and government agencies with a baseline for future transportation infrastructure improvement analyses. With economic activity strengthening in 2017, the average marginal cost per mile incurred by motor carriers increased six percent to $1.69. Cost increases were broad-based in 2017, with growth in nearly every major line-item over the year. Driver wages increased for the fifth consecutive year and the combined cost of driver wages and benefits represent 43 percent of the overall cost per mile. Indiana Gov. Eric Holcomb announced in Sept. plans to add $1 billion to the infrastructure program across the state that would expand broadband services in rural areas, building a new water port, expand rail projects, create more nonstop international flights, and move up major highway projects. The money for these projects would be raised by increasing tolls on heavy-duty commercial trucks on the Indiana Toll Road. The governor’s infrastructure plan has been named the “Next Level Connections”. To fund the new plan, Indiana Toll Road Concession Company, the company who operates the toll road, will increase tolls on vehicles with three or more axles 35 percent more and pay the state $1 billion in three installments over the next couple years. Volvo Trucks' recently announced the release of Vera, the brand’s compact, battery-electric truck with no cab for a human driver. The vehicle is intended to take over short, repetitive routes based around fixed hubs like a shipping port, or any sort of dense industrial facility. On Sept. 6, Burt Reynolds, star of 1977 trucking blockbuster Smokey and the Bandit, passed away at the age of 82. And on Sept. 30, members of the Small Business in Transportation Coalition organized a tribute to the late actor who portrayed a truck driver in the cult classic. The tribute included a pilgrimage from Texarkana, Tex. to Atlanta, Ga., the pick up and drop off locations from the movie. Smokey and the Bandit is still one of the most famous portrayals of a truck driver on film. The Arkansas Trucking Association is pleased to announce the first recipients of the Carl Tapp Memorial Scholarship Fund. High school seniors Konner Hodges of Gentry High School Conversion Charter and Colt Dickard of Har-Ber High School will both receive $7,500 to pursue training for a career in medium/heavy duty truck technology. Little Rock, Ark., April 2, 2018 – The Arkansas Trucking Association launches today a statewide initiative to educate the public about the dangers of driving while distracted. Gov. 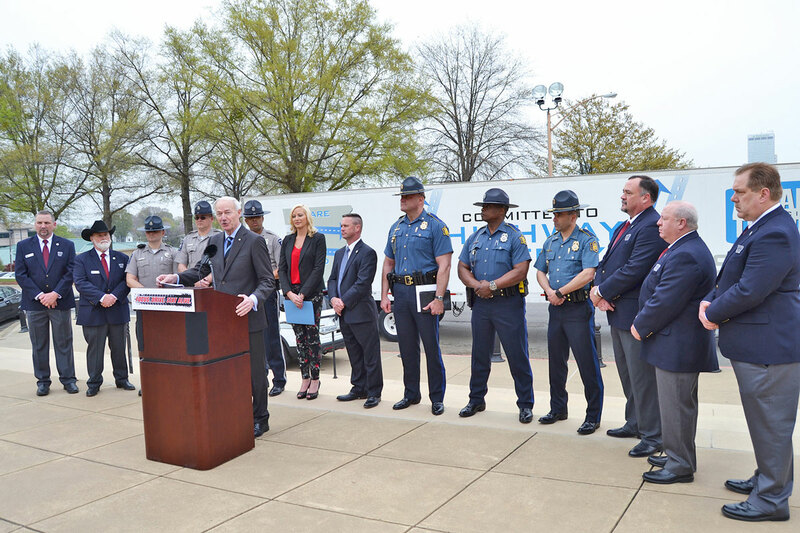 Asa Hutchinson joined Arkansas Trucking Association officials, along with officers from the Arkansas State Police and the Arkansas Highway Police, to announce “Focus. Drive. Stay Alive.” at the Arkansas State Capitol in Little Rock. 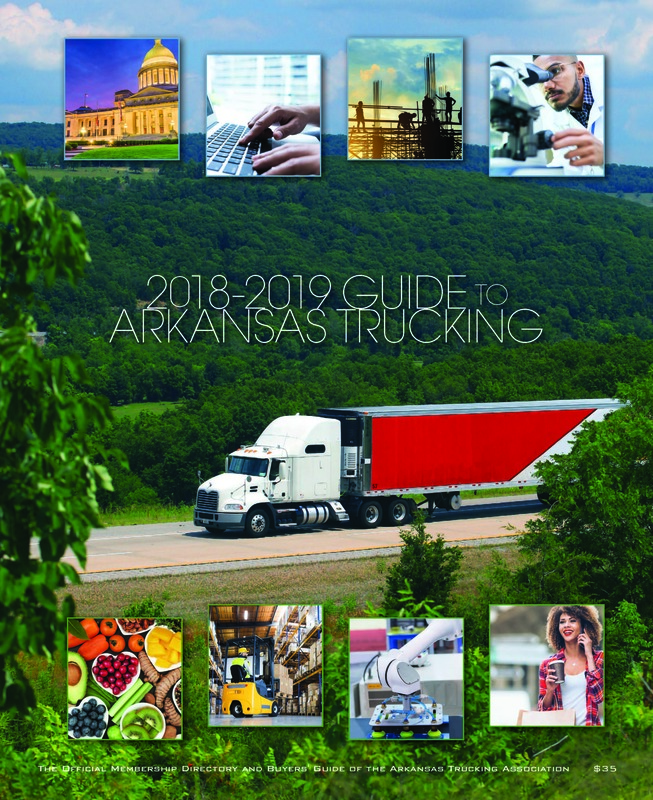 The Arkansas Trucking Association (ATA) applauds the introduction of the DRIVE-Safe Act, a critical piece of legislation introduced yesterday that aims to address the massive driver shortage affecting the delivery of commerce in our country, while also promoting enhanced safety training for new members of the workforce. The trucking industry is hindered by federal law which prohibits the movement of goods across state lines by individuals under the age of 21. This arbitrary restriction on interstate deliveries is particularly problematic in attracting young people to the opportunities available in the trucking industry. Most states, including Arkansas, allow individuals to obtain a commercial driver’s license (CDL) at age 18. An 18 year-old driver may then legally deliver a load from Fort Smith to West Memphis, but is prohibited from delivering just nine miles further in Memphis, Tenn. The proposed legislation would create a graduated two-step program for 18–21 year-old CDL holders to train with experienced drivers before earning credentials that would allow them to legally make interstate deliveries. LITTLE ROCK, ARK. 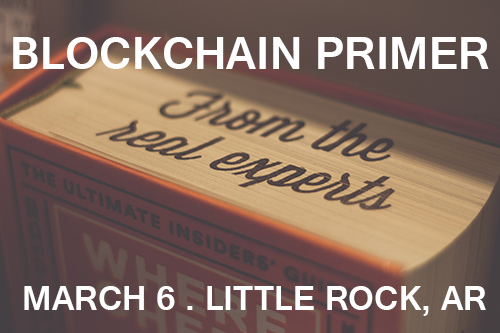 - Arkansas Trucking Association’s Accounting & Finance Council is hosting a Blockchain Primer next week, on Tuesday, March 6, in Little Rock, Ark for its first quarterly meeting. The meeting will be held from 10 am to 2 pm, and lunch will be sponsored by McLeod Software and served while attendees network with other accounting and finance professionals in the industry and learn from experts in a workshop-style setting. Arkansas Trucking Association is pleased to announce it is accepting applications for a new scholarship opportunity for students interested in pursuing a career as a medium and heavy duty truck technician. 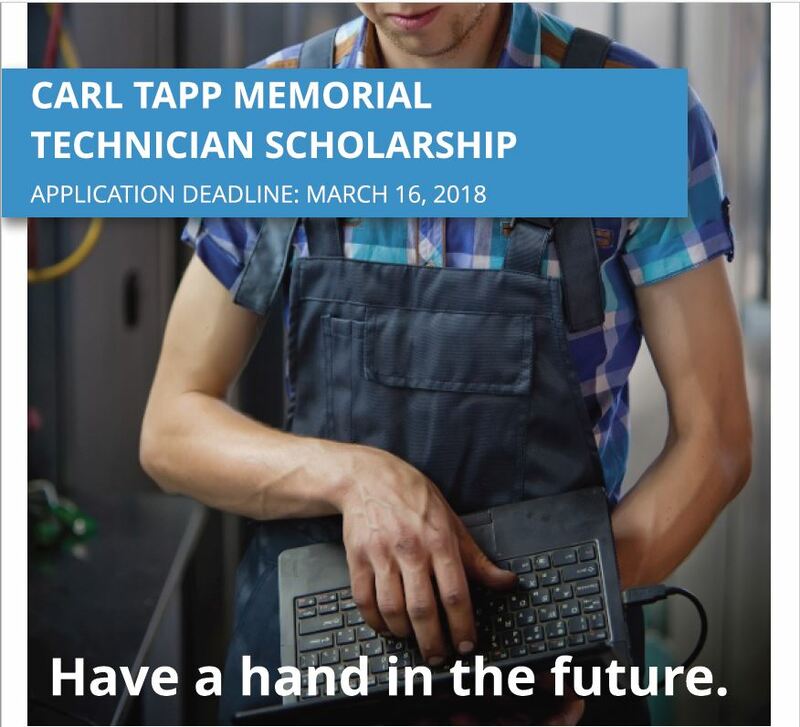 ATA has established the Carl Tapp Memorial Scholarship Fund to encourage growth in the state’s technician workforce and to help assure that the safest, most knowledgeable and skilled technicians are working on the trucks and trailers on our nation’s roads. Applicants must be graduating seniors from accredited high schools. Two scholarships for up to $7,500 will be awarded for students attending a two-semester (30-hour minimum) medium and heavy duty truck technician program at an Arkansas institution. Plans for flexible sleeper berth pilot program are behind schedule after another public comment period closed on Nov. 27. The Federal Motor Carrier Safety Administration website said the pilot was supposed to begin in July 2017. According to Sean Garney, director of safety policy for American Trucking Associations , the pilot program is now expected sometime next spring or summer. 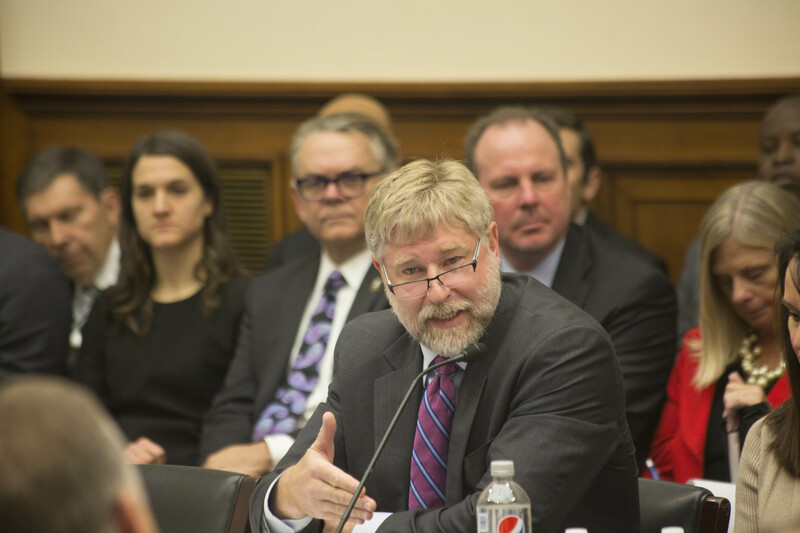 During a congressional roundtable on emerging technologies in the trucking industry, American Trucking Associations reiterated trucking’s strong record of investing in and implementing innovative technologies to improve safety on the nation’s highways.